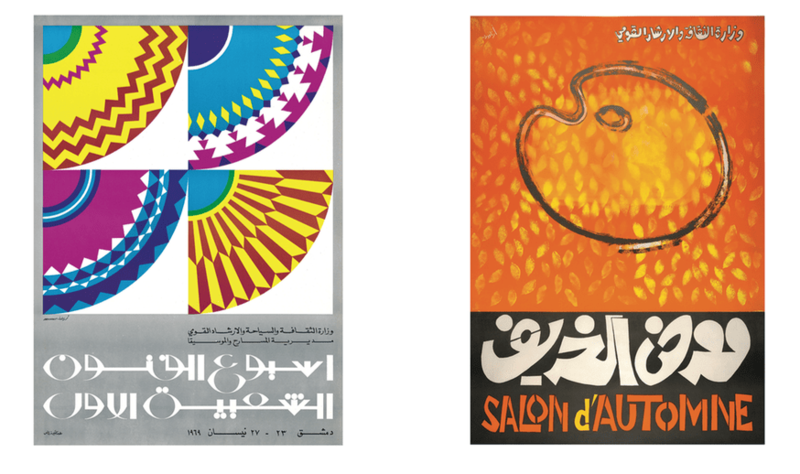 It might come as a surprise to some but the Middle East and North Africa has a rich history of graphic design. 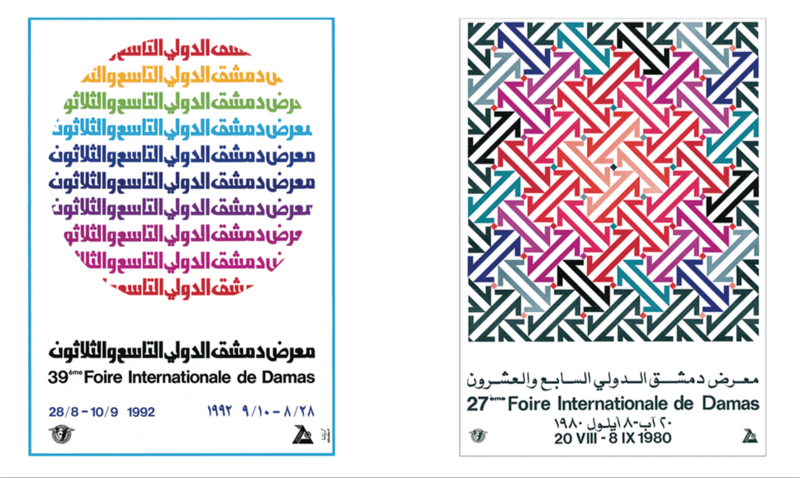 A new book series is celebrating groundbreaking graphic designers, typographers, and illustrators from the region, showing that design is not foreign or new here at all. “The Arabic Design Library” by Khatt Books, part of the Khatt Foundation Center for Arabic Typography, will consist of at least 12 books, four of which have already been published, and some of which are in various stages of production. With the philosophy that progress is built upon the achievements of predecessors, each book in the series looks at the works and achievements of specific designers and their roles as creative pioneers, cultural activists, and more. 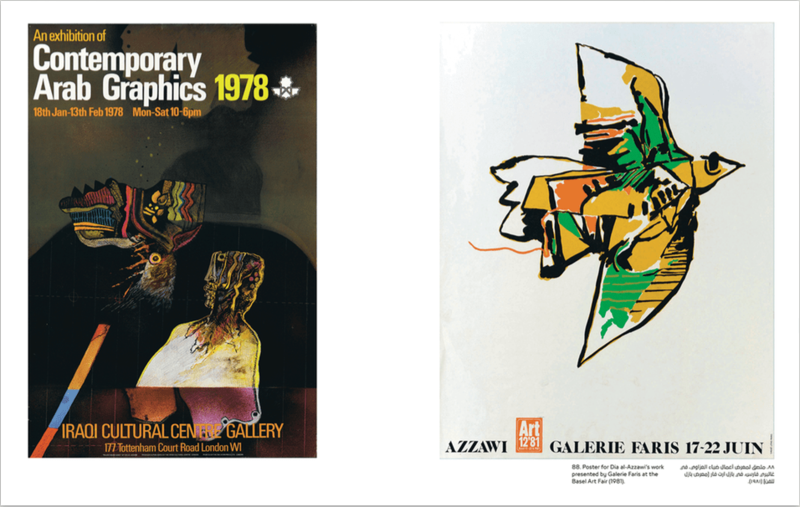 Together, the series offers an alternative, non-Western design history and serves to establish a record of 20th century graphic design from the region, with work spanning from the 1960s to the 1980s (and occasionally some recent work is also featured). It is an overview of how modern Arab visual culture became what it is today and those who contributed to its development. The first two monographs, “Hilmi Al-Tuni: Evoking Popular Arab Culture” by Yasmine Nachabe Taan and “Nasri Khattar: A Modernist Typotect” by Yara Khoury Nammour, inaugurated the series in 2014. 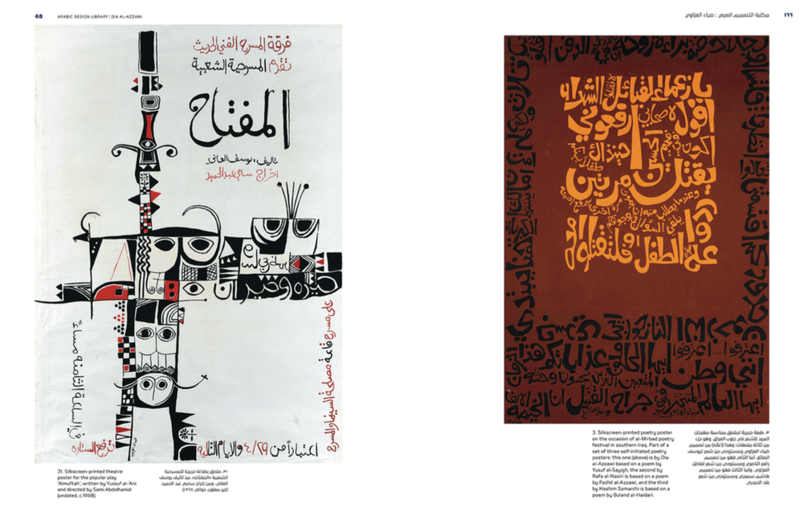 Tuni was one of Egypt’s most proficient illustrators, and book and magazine designers, with his work merging old lettering styles, Islamic and pre-Islamic symbolism, pop culture, and modernist painting. Khattar, a Lebanese architect and typographer, contributed significantly to the Arabic alphabet by reforming Arabic script, making reading easier and production of texts faster and cheaper. This August at the Sursock Museum in Beirut, a second pair of books was released. 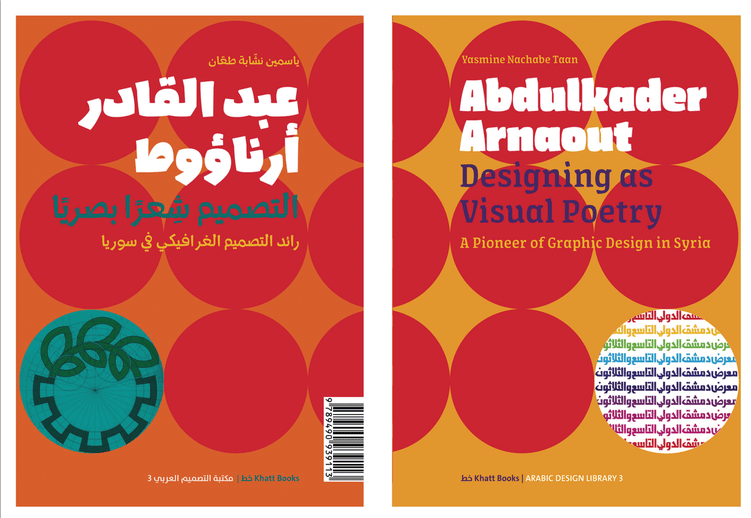 “Abdulkader Arnaout: Designing as Visual Poetry,” also by Taan, follows the life of the visionary Syrian graphic designer known for his modernist posters and book covers, as well as for introducing design as a profession in his country, focusing on its communicative function. The second book, “Dia al-Azzawi. Taking a Stand: Activism Through Graphic Design” by Lina Hakim, takes a look at an often overlooked side of the Iraqi, who is more often known as a contemporary artist than designer. An outspoken social, political, and artistic activist, Azzawi was present at the event to discuss his work. What’s interesting about the series is that it doesn’t necessarily focus on periods or styles, but rather on individuals. Founding Director of Khatt Foundation Huda Smitshuizen AbiFarès says this was a very conscious decision. She points out that when it comes to traditional art, artists are credited and glorified, but this is not often the case with design. “The art world is different. When you become famous, you only have to sign a piece of paper, and it has value. But as a designer you might create work that is extremely powerful and reaches so many people and yet you don’t sign it … a lot of this work disappears, but it has important cultural value,” AbiFarès says. The books in the series are concise, visual, and written in both Arabic and English, designed so that readers see both scripts as they go along. Aside from being available for readers of both languages, the bilingual books help with cultural exchanges. “If you design the books in such a way that there is no repetition, then people get accustomed to reading a book that has other languages than what they normally read,” she explains. AbiFarès established Khatt Foundation in 2004 in Amsterdam to work on design projects focused on the Middle East, North Africa, and their diaspora. The nonprofit aims to raise awareness on the vital role of design, build cross-cultural networks, and provide a platform for research, while helping stimulate design and production of quality, socially relevant products, and artifacts. In 2009 Khatt Books was born out of the need for a publishing house that specializes both in the MENA region, and in design. Its mission is to publish critical writing about design in the Arab world. Despite its focus on the Arab world, Khatt receives funding mainly from Europe, “Mostly from Dutch governmental institutions, and some private European institutions, and to a much lesser extent, individuals and small Arab institutions,” reveals AbiFarès, adding that they have made a name for themselves in the regional cultural sphere, but that the region lacks a culture of benevolence in giving with no strings attached. 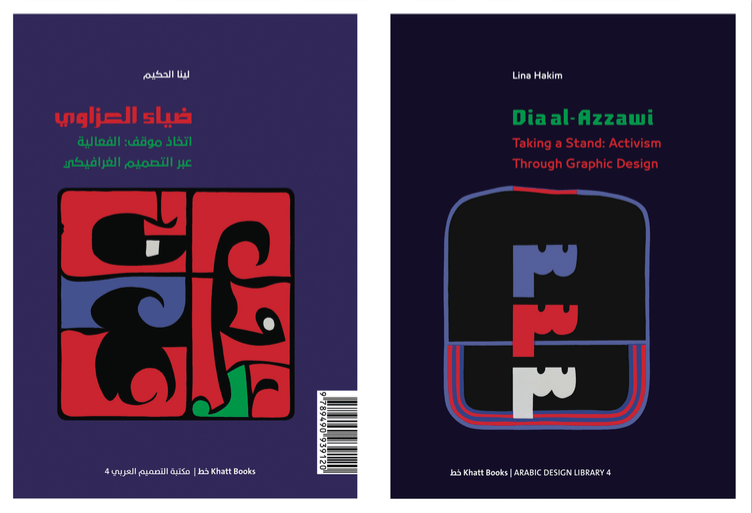 The first four “The Arabic Design Library” books are available at several Lebanese bookstores and online at khattbooks.com. There are plans to publish three more books between 2018 and 2019.